LAX Ammo was established in 2008 by LAX Firing Range when a need for inexpensive ammunition was growing in Southern California. 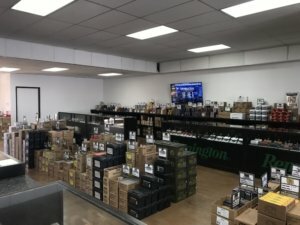 In 2017, in an effort to continue providing low-priced ammunition to our California customers we opened LAX Ammo Store Orange County when California gun restrictions broadened to include ammunition sales shipments. LAX Ammo’s mission continues to be to deliver high quality reloads and factory new ammunition in various calibers for rifles, handguns, and shotguns at affordable prices, all providing friendly customer service to our valued customers. At LAX Ammo, we reload our own rounds with previously fired copper-plated, brass bullets by Berry’s Extreme, with clean burning powder and CCI or Winchester primers. Currently, we load 9mm, 45 ACP, 38 Special, 40SW, 357 Mag, 45LC, 44 Mag, 44 Special, and 10mm. We also carry reloaded 300, ACC B.O., 223, and 308 Ammo. LAX mostly loads these with previously fired Lake City Brass with non-metallic jacketed projectiles that are safe for outdoor ranges. 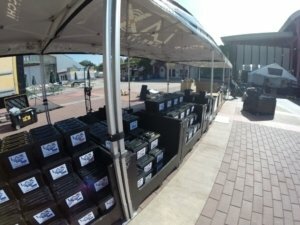 Price points will be dependent upon the competition at the listed gun shows but we are always competitively priced and back with our LAX Ammunition 100% satisfaction guarantee. LAX always takes considerable pride in our factory new and reloaded ammunition as well as our customer service. OCT 20 & 21 LAX AMMO PARKING LOT SALE | 234 S Hindry Ave.